In practice, teachers often wonder what to prescribe the purpose, if everything is clear from the title of the lesson? Right, the goal should flow from the topic of the lesson or activity. But still, why is it necessary and how to formulate it easily and quickly? 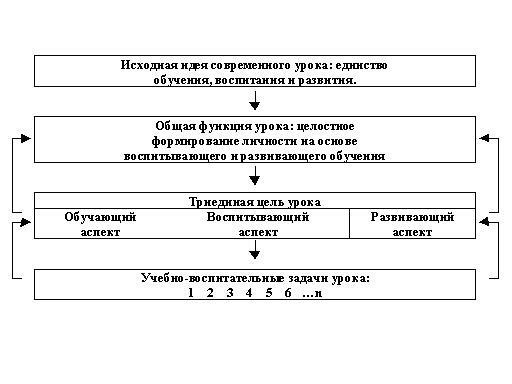 In this context, the goal is treated as an object of desire; that is necessary, desirable (S. I. Ozhegov), anticipate in the minds of the result of the activity. The purpose equally needs to be clear for the teacher and the student. This allows to organize the work of students and to successfully manage it. A clearly articulated goal as if draws the upcoming lesson. Therefore, the objectives "to study the subject "Angiosperms", "to deepen knowledge on the subject" is not specific, not check, not having clear criteria for achievement. And the goal is to find representatives of flowering plants, study of their distinctive characteristics" - clear, concrete, achievable, and verifiable. - to make students mastering of concepts (what?). In formulating objectives, you can use the verbs "to see", "learn", "fix", "apply", "write", "sketch", "teach", "lock", "secure", "articulate," "control," "prepare," "to tell", etc. In the classroom-the generalization of the use of the word "allocate", "to summarize", "update". On a practical lessonx - "apply knowledge", "make", "to promote the formation of skills, the ability to handle...", etc. The educational component goal. In each lesson the teacher needs to have educational impact, and education, as well as the development passes in one lesson. It is impossible to check by the end of the lesson will be formed certain personality traits. Therefore, the teacher also can create only the conditions for education, for example, feelings of humanism, collectivism, respect for elders, mutual responsiveness, a negative attitude towards harmful habits, values, physical health, etc. Again, the wording "to create (or provide)...". Then, in summing up, you can check achieved the goal or not, were applied the techniques that create the conditions for the formation of certain qualities of character and personality traits. Students also need to know what goals are set before the lesson - they also learn how to formulate goals and track the results of their work.